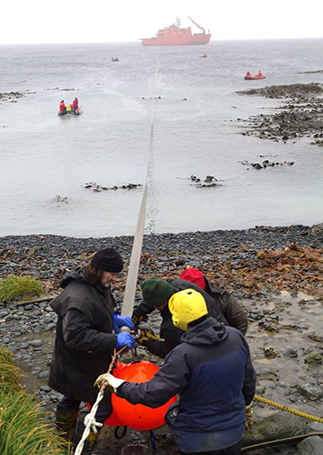 The overall objective is to better understand the long-term environmental impact of spilled petroleum products in Antarctic marine systems. Decades of Antarctic exploration have left a significant legacy of petroleum pollution on-land and in nearshore marine environments, particularly around human stations. The natural attenuation of spilled diesel and lubricants occurs slowly in cold climates, particularly once the pollutants have adsorbed onto marine sediments. Major programmes funded by the Australian Antarctic Division (AAD) have identified the location of spills, and the nature and fate of some of the pollutants. This project addresses some of the significant uncertainties which still exist regarding the natural depletion and ecotoxicological impact of spilled diesel and lubricants in soils and in the marine environment. To develop a quantitative method using cutting edge two-dimensional gas chromatography-mass spectrometry (GCxGC-TOFMS) to identify the components of spilled diesel and lubricants, especially the complex mixtures of recalcitrant residues and the secondary products of alteration. 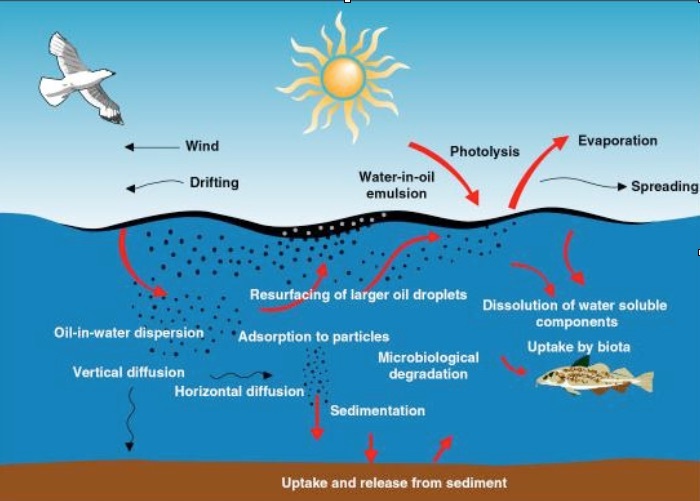 To calculate the rates of removal of pollutants in the marine environment by comprehensive statistical treatment of the chemical data-set, and to assess the processes by which this removal occurs (e.g. aerobic/anaerobic biodegradation, water-washing, etc). To assess the degradation rates and longevity of pollutant components against the biology of the disturbed communities of microbes and microfauna in the same experiments, so as to form a hypothesis of which components of the complex mixtures have the most important ecotoxicological response and environment impact. Using the most important single isolated or related groups of components, to test the specific ecotoxicological impact of each in the marine environment using a short-term field experiment and laboratory toxicity tests. Woolfenden, E.N.M., Hince, G., Powell, S.M., Stark, S.C., Snape, I., Stark, J.S., George, S.C., 2011. The rate of removal and the compositional changes of diesel in Antarctic marine sediment. Science of the Total Environment 410-411, 205-216. Brown, K.E., King, C.K., Kotzakoulakis, K., George, S.C. and Harrison, P.L. (2016) Assessing fuel spill risks in polar waters: Temporal dynamics and behaviour of hydrocarbons from Antarctic diesel, marine gas oil and residual fuel oil. Marine Pollution Bulletin 110, 343-353. Kotzakoulakis, K. and George, S.C. (2017) A simple and flexible correlation for predicting the viscosity of crude oils. Journal of Petroleum Science and Engineering 158, 416-423. Errington, I., King, C.K., Houlahan, S., George, S.C., Michie, A., Hose, G.C. (2018) The influence of vegetation and soil properties on springtail communities in a diesel-contaminated soil. Science of the Total Environment 619-620, 1098-1104. Kotzakoulakis, K. and George, S.C. (2018) Predicting the weathering of fuel and oil spills: A diffusion-limited evaporation model. Chemosphere 190, 442-453. 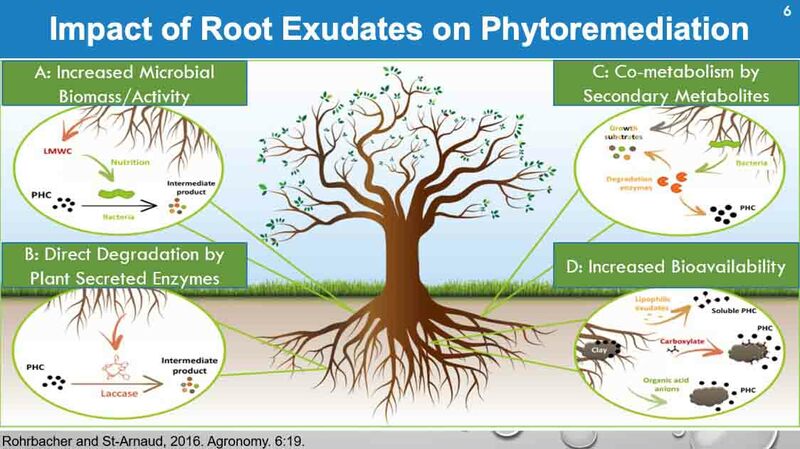 Screening of potential phytoremediators for hydrocarbon toxicity and tolerance. Isolation and characterisation of plant growth-promoting and hydrocarbon-degrading rhizobacteria. 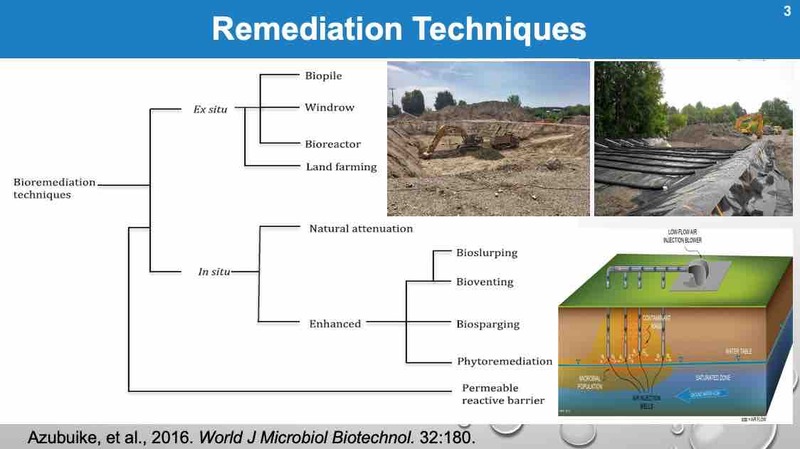 Determination of the efficiency and effectiveness of microbial-enhanced phytoremediation. Kostas Kotzakoulakis, Peter Harrison, Cath King, Kath Brown, Simon George The effect of temperature on chemical dispersion of fuels. New data at polar and sub-polar temperatures. The bioavailability and fate of hydrocarbons in fuel spills in polar marine environment.